For experienced, dedicated personal injury representation in Tennessee, call Nichol & Associates, Attorneys at Law. Based in Knoxville, our law firm serves clients throughout the state who have been injured due to the negligence of others. When you call our firm, you can be sure that your lawyers are invested in your health and well-being and in the safety and financial security of your family. You can also trust that your case is in good hands. Our firm's founder, Doug Nichol, has more than 40 years of experience in personal injury practice, and has been recognized by other members of the Tennessee legal community for his skill and advocacy. When it comes to personal injury representation, you have no shortage of options. But why not rely on a firm that has been helping clients like you for decades? 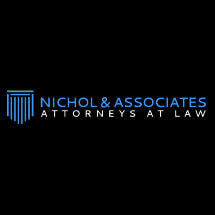 For compassionate and experienced legal help, call Nichol & Associates, Attorneys at Law.